One of the foremost books in Sentencing Law, the new fourth edition continues in the tradition of its predecessors by giving students a comprehensive overview of modern sentencing practices. 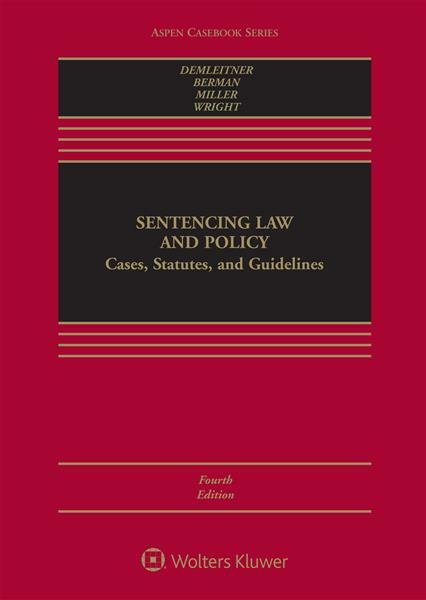 Authored by leading scholars, this casebook provides thorough examination of underlying doctrine, motivates students to tackle the important policy and political issues that animate sentencing practices, and poses challenging questions and hypotheticals to stimulate class discussion and independent thought. More streamlined focus. Material covered in the third edition has been updated and streamlined reducing the length by more than 400 pages. Chapters 7-11 in the previous edition have been expanded and updated and are now available online. Thoroughly updated to address important statutory and case law changes, including important U.S. Supreme Court, U.S. Court of Appeals, state appellate court decisions and recent scholarship. Coverage of modern policy issues, including mass incarceration, prosecutorial and judicial discretion, punishment for drug crimes, revised federal and state sentencing guidelines, racial and other disparities in sentencing, and topics associated with administration of the death penalty. Expanded Teachers Manual with sample syllabi and other supporting materials to help professors construct personalized teaching plans that integrate the text and online materials. ssor Douglas A. Berman attended Princeton University and Harvard Law School. In law school, he was an editor and developments office chair of the Harvard Law Review and also served as a teaching assistant for a Harvard University philosophy course. After graduation from law school in 1993, Professor Berman served as a law clerk for Judge Jon O. Newman and then for Judge Guido Calabresi, both on the United States Court of Appeals for the Second Circuit. After clerking, Professor Berman was a litigation associate at the law firm of Paul, Weiss, Rifkind, Wharton, and Garrison in New York City. Professor Berman is currently the Robert J. Watkins/Procter & Gamble Professor of Law at the Ohio State University Moritz College of Law. Professor Berman’s principal teaching and research focus is in the area of criminal law and criminal sentencing, though he also has teaching and practice experience in the fields of legislation and intellectual property. He has taught Criminal Law, Criminal Punishment and Sentencing, Criminal Procedure – Investigation, The Death Penalty, Legislation, Introduction to Intellectual Property, Second Amendment Seminar, and the Legislation Clinic. Professor Berman is the co-author of a casebook, Sentencing Law and Policy: Cases, Statutes and Guidelines, which is published by Aspen Publishers and is now in its fourth edition. 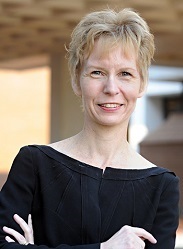 In addition to authoring numerous publications on topics ranging from capital punishment to the federal sentencing guidelines, Professor Berman has served as an editor of the Federal Sentencing Reporter for more than a decade, and also now serves as co-managing editor of the Ohio State Journal of Criminal Law. Professor Berman is the sole creator and author of the widely-read and widely-cited blog, Sentencing Law and Policy. The blog now receives nearly 100,000 page views per month (and had over 20,000 hits the day of the Supreme Court’s major sentencing decision in United States v. Booker). Professor Berman’s work on the Sentencing Law and Policy blog, which he describes as a form of &"scholarship in action,” has been profiled or discussed at length in articles appearing in the Wall Street Journal, Legal Affairs magazine, Lawyers Weekly USA, Legal Times, Columbus Monthly, and in numerous other print and online publications. >Marc L. Miller is the Dean & Ralph W. Bilby Professor of Law at the University of Arizona College of Law. Dean Miller taught at Emory University Law School from 1988-2005, where he served as Associate Dean for Faculty and Scholarship (2003-2005). He is a graduate of the University of Chicago Law School and Pomona College, and grew up in Los Angeles. Dean Miller writes and teaches about environmental law and policy and criminal law and policy. He is the author of more than 70 articles and essays on a wide range of environmental, criminal justice, immigration and legal theory topics. 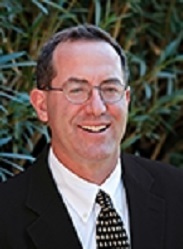 He is editor of several casebooks on criminal procedure and sentencing, and co-founded the Federal Sentencing Reporter, the leading journal on sentencing law and policy and a joint project of the Vera Institute of Justice and the University of California Press. He currently serves as a series editor for Summits—books focused on the intersection of environmental science, law, and policy. Demleitner received her J.D. from Yale Law School, her B.A. from Bates College, and an LL.M. with distinction in International and Comparative Law from Georgetown University Law Center. After law school Demleitner clerked for the Hon. Samuel A. Alito, Jr., then a member of the U.S. Court of Appeals for the Third Circuit. She testified in front of the U.S. Senate on behalf of Justice Alito's nomination to the U.S. Supreme Court. 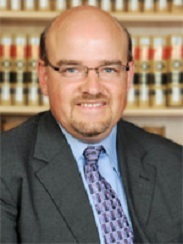 Demleitner is the Roy L. Steinheimer Jr Professor of Law at Washington and Lee University School of Law and has written widely in the areas of criminal, comparative, and immigration law. Her special expertise is in sentencing and collateral sentencing consequences. At conferences around the country she regularly speaks on sentencing matters, often in a comparative context, and on issues pertaining to the state of legal education. Demleitner has also lectured widely in Europe. She has served as a visiting professor at the University of Michigan Law School, the University of Freiburg, Germany, St. Thomas University School of Law in Miami, and the Sant' Anna Institute of Advanced Research in Pisa, Italy. In addition, she has been a visiting researcher at the Max-Planck-Institute for Foreign and International Criminal Law in Germany, funded by a German Academic Exchange Service grant. Demleitner is an editor of the Federal Sentencing Reporter, and serves on the executive editorial board of the American Journal of Comparative Law. She is the lead author of Sentencing Law and Policy, a major casebook on sentencing law, published by Aspen Law & Business. Her articles have appeared in the Stanford, Michigan, and Minnesota law reviews, among others.